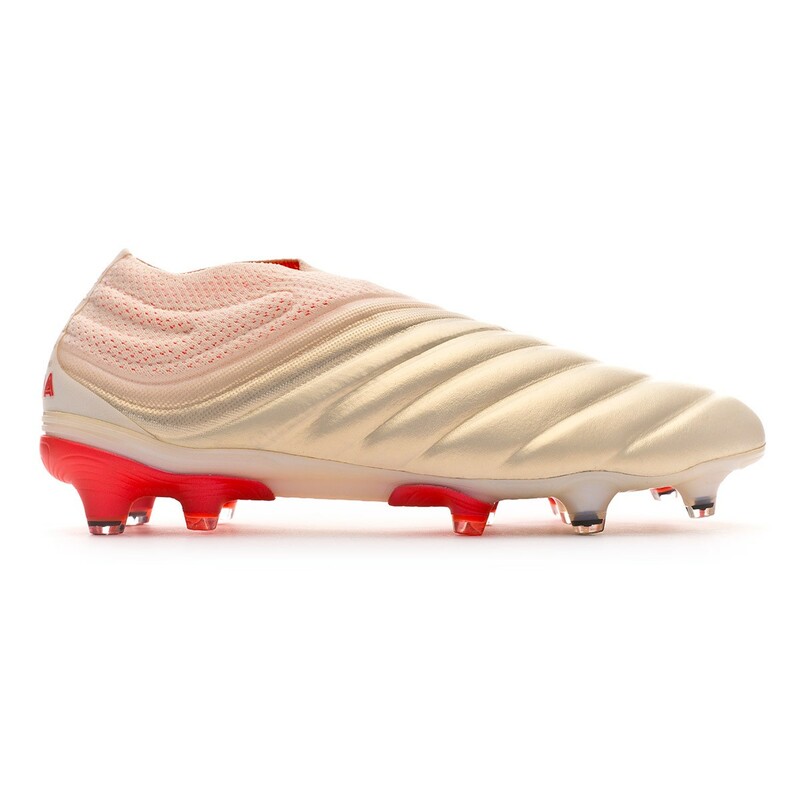 Copa 19+ FG adidas football boots for adults. 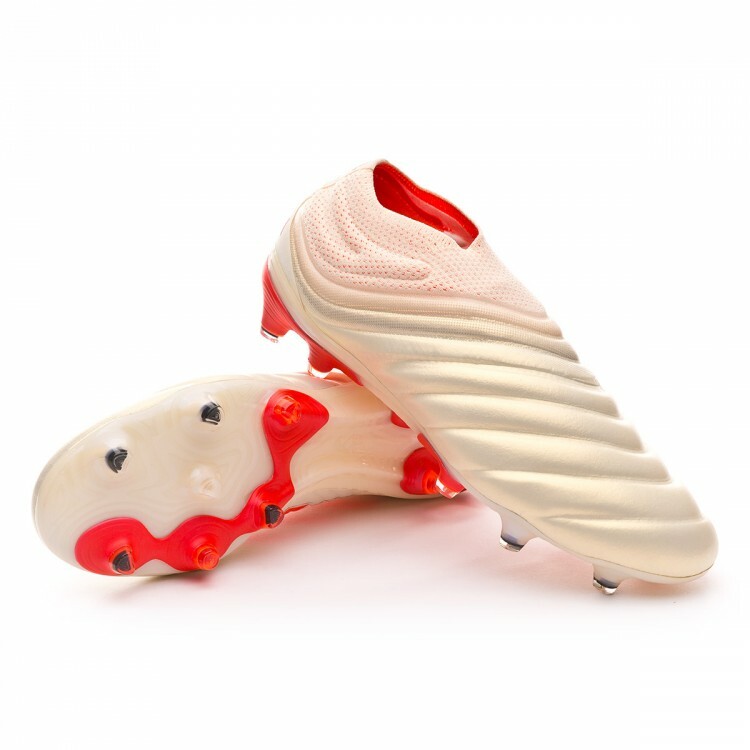 Leather laceless boots for natural or last generation artificial grass pitches. 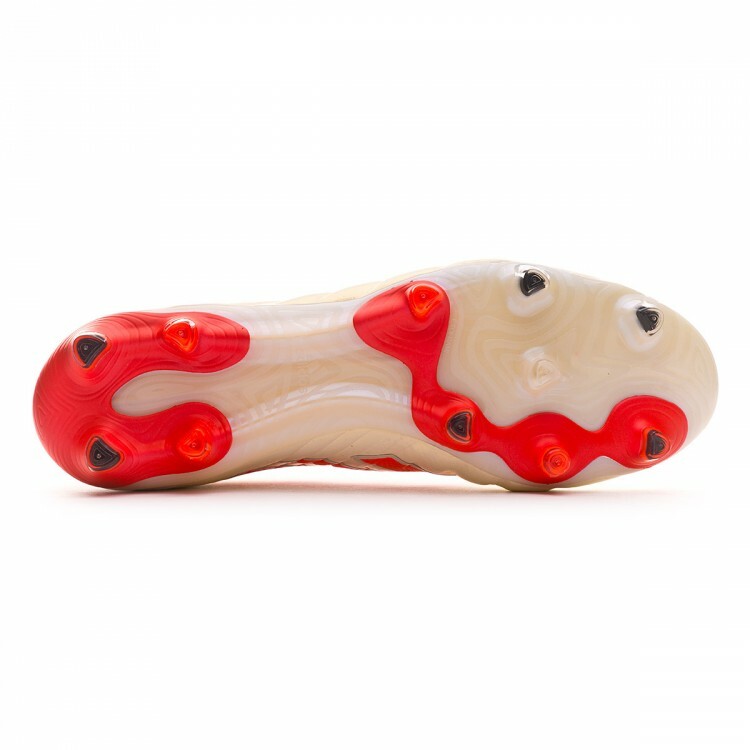 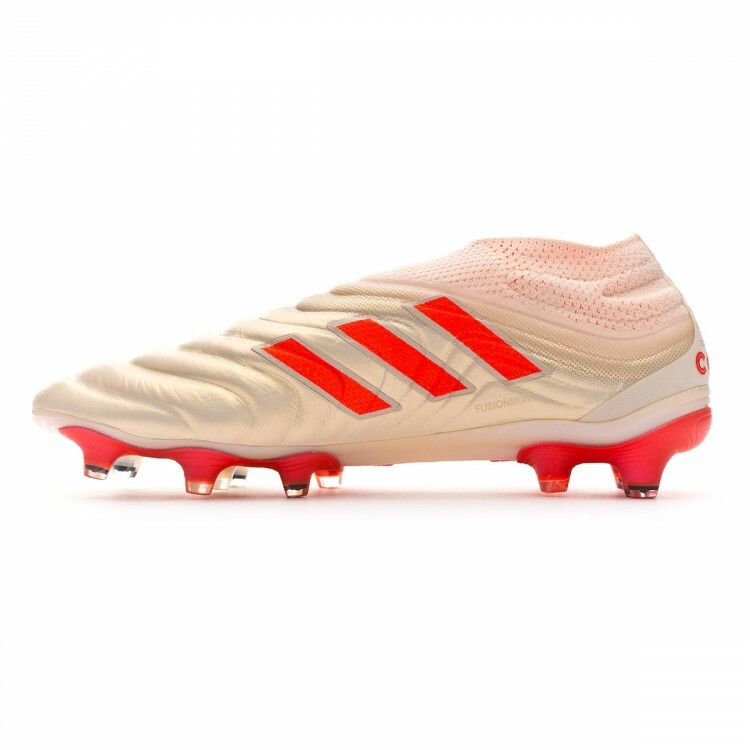 Elite boots in Off white-Solar red-Off White for classic players.